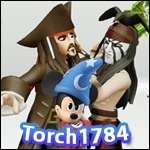 Inside Infinity 42 - "Maleficent and exclusive Disney Infinity 2.0 Play Set information"
Pirate joins Jason and I for this weeks show as discuss some new tidbits from the world of Infinity. Pirate gives us an insider look on the process for building his winning Toy Box. We talk about the confirmation of Maleficent and what that means for other Disney characters. And lastly we talk about the player interiors that are going to be a big part of Disney Infinity 2.0. Lloyd, Jason, and I discuss new developments since the Marvel/Disney Infinity 2.0 announcement of last week. We discuss pricing, the release month, what will and won't be both forward and backward compatible, among many, many other things. We are also excited to be making a special announcement tonight. What we are discussing tonight. All this and more on tonight's episode.
. The podcast was finally approved through iTunes. You can subscribe using the iTunes link below or directly from the website. Let me know what you all think. Constructive criticism will be very welcomed. We have a very exciting show for you this week. We talk about the Disney Infinity “Vault” and “Toy Maker.” We talk about how Disney Infinity came to be and what role John Lasseter played in the creation of the game. We also discuss the Designing Figures Video that was released at the end of this week. We are having our first listener give-away so make sure you listen for that. Lastly, and this is the big one. At the end of the podcast, we have a very special exclusive. Some never before heard info about one of the major systems in the game. Make sure you listen until the very end for this bit of information, as it was so late breaking, we tacked it on at the end. The show should be on iTunes shortly, otherwise you can listen online or download directly from the Podcast page. You can listen/download or . Feel free to pm me as well. UPDATE: To read a more detailed description of the Toy Box Vault and to clarify the difference between the Play Set Vault and the Toy Box Vault, . I'm not adding it here because it is a lot of information and would fill up half a page.
. We have another great show for you this week. 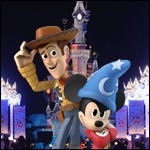 For news we talk about the figure that will be given away early at the D23 Expo. For Rumors we not only talk about what new figures will be released in the coming months, but we also talk about their release dates. In Infinity 101 we talk about the Spark editing mode and also Sparks in the form of XP. Inside Infinity we talk about the hard work the developers put in the game as well as the great value Disney Infinity is. Lastly we announce this weeks giveaway winner and the giveaway for next week. Today's show discusses the launch and some features not known about until today. We all discuss at length the "Infinite Crystal Series". We cover a lot of toys, everything from tutorial videos, to the iPad Toy Box app. Lastly, we finish the show with the community section where a few friends give us insight on their experiences or soon to be experiences with Disney Infinity. We have another packed show for you this week. We talk about all of the rumored Infinite Crystal Series figures that have yet to be announced. 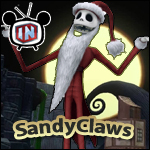 We also discuss some early releases for Jack Skellington and Woody. Towards the end of the show, we have an exclusive telling you how to unlock the Dragons Keep Toy Box and toys without owning a Magic Band. Hey guys, episode 7 of the Inside Infinity podcast is posted. 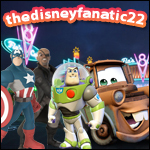 This week we introduce Jason from the Disney Infinity Blog as a host. We talk about the possibility of a Muppets play set and figures, about the new Disney Infinity Disney Toy Box's, Stats on DisneyInfinity.com, and lastly provide a little insight on the voices of Disney Infinity. It's been a busy week and we have a great show ahead for you! 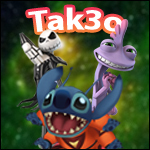 We talk about the "Race to Space" pack, this weeks Disney Infinity Toy Boxes, the infamous Toy Box iPad App, and lastly part 3 of our 5 part series on improvements for the Playsets. Tonight's show is a special one. The evening of the Disney Infinity 2.0 Marvel announcement we have a full cast with a special member who was at the event today. We break down all of the news at the Marvel Disney Infinity announcement, and use our crystal balls (or figures) to see what's next. When the second podcast comes? I hope to do them every Sunday so Sunday or Monday depending on where you are (I'm in Denver, CO). haha, i am in Argentina !! Ohana means Family, family means Nobody gets left Behind, or Forgotten. Sweet subscribed can't wait to hear more. Fantastic!! I'm so glad to see this, it will help me and so many others on the forum get past these long next four weeks. The link isn't working for me, is it because I'm in the UK? Hope you guys enjoy it!